Cardiff City boss Neil Warnock is pleased with the work he has been able to do this summer after persuading Neil Etheridge to sign a new deal with the club. The goalkeeper has committed his future to the Bluebirds until the summer of 2021. Etheridge played 45 Championship matches for Cardiff last season and kept 19 clean sheets. "The club has been great to me since I started," he said. "We had a fantastic year last year and it's been great to continue that and extend my deal. "Every game is going to be a great experience - all of them. Of course, you've got Old Trafford, Stamford Bridge… I could go on and on about all of them. "But I'm looking forward to the first game of the season, then coming back here for a full house against Newcastle. I can't wait." Cardiff are 1/3 to be relegated in the 2018/19 season and 15/4 to beat Bournemouth in their opening match of the season on 11th August. Meanwhile, Warnock has confirmed that he is in talks to sign Liverpool midfielder Marko Grujic on loan. He has already snapped up Preston left-back Greg Cunningham, Norwich City winger Josh Murphy, QPR goalkeeper Alex Smithies and Bristol City forward Bobby Reid. "We'd like a couple of loan players in. 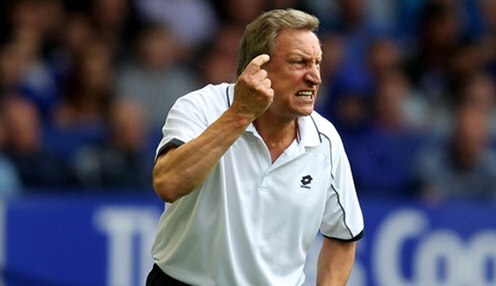 We've spoken to Marko and then I'd want to get a striker as well - that's the missing piece," Warnock said. "I just feel you need four at the top level so we'll be looking at one, but we won't rush into that. Cardiff have also agreed a new deal with winger Junior Hoilett and are still in discussions with out-of-contract Iceland midfielder Aron Gunnarsson.